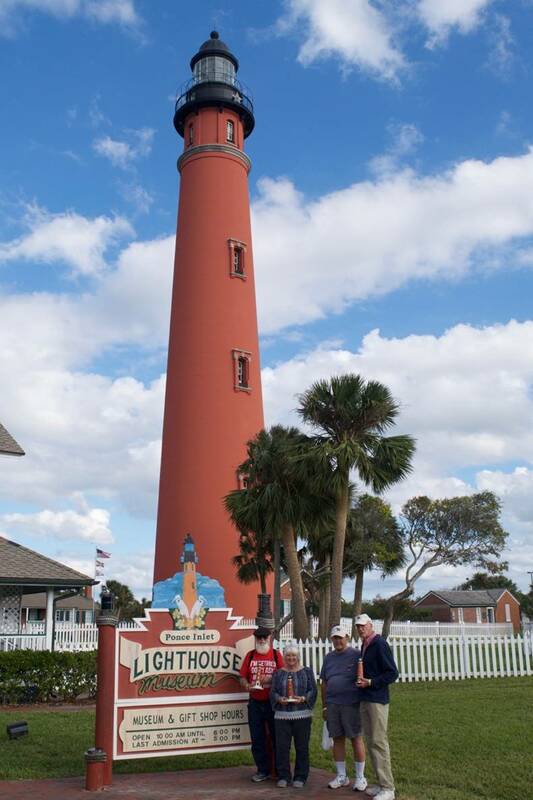 Howard Hawrey transformed a generic kaleidoscope kit by Steve Brown into a replica of the Ponce Inslet Lighthouse located in Ponce Inlet, Fla. This past November (2016), Howard taught a class at Washington Oak Gardens State Park where eight of his students completed their own lighthouse kaleidoscopes. Afterwards, Howard and his students were invited to the lighthouse and were given a V.I.P. tour. The lighthouse kaleidoscopes are made to scale and took about 15 hours to complete. See more of Ken Hawrey’s photos at photokwh.fotomerchant.com.